Tonight is a momentous occasion. 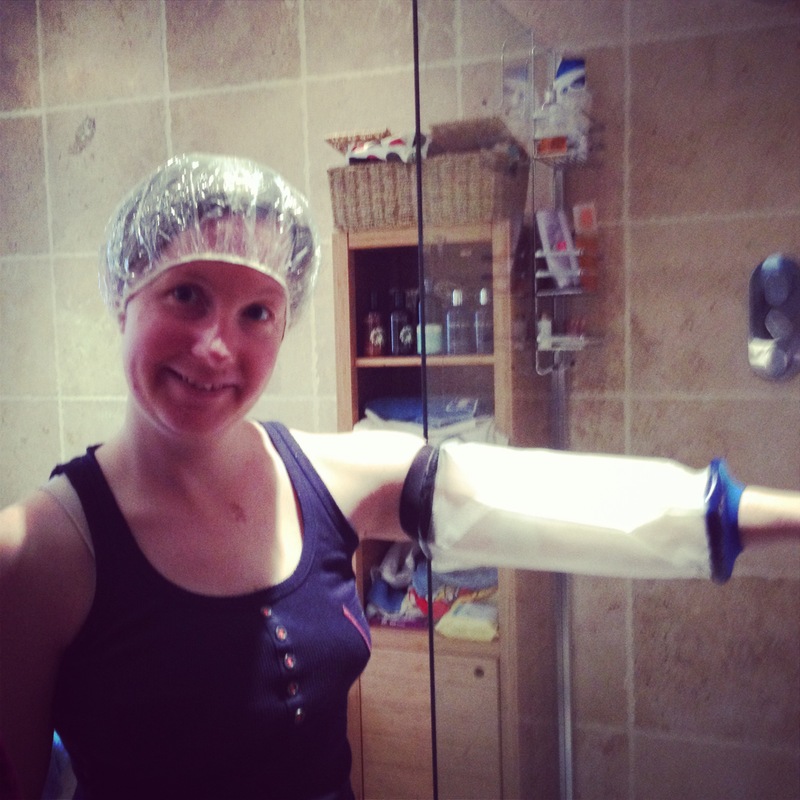 Tonight is the first night since 31 March that I will be able to shower without a plastic radioactive-style sleeve covering the best part of my left arm (see below for a reminder of my recent shower style). Tonight is the night my arm gets lathered in something other than alcoholic swabs and Cavlon. And, most importantly, tonight is the night I get another step closer to the normality I so desperately crave. And, you know what? I think it might just be the most exciting shower of my entire life! Apart from a hard bit of, I guess, scar tissue, surrounding the entry site, the area is already healing well. Gone is the dry skin and going are the blisters and the sticky plaster residue. I thought I’d be walking round with the feeling that something is missing. In truth, the memory of the plastic tubing, the clip and the valve stopping the blood leaking out has already started to fade. I love my body’s amazing ability to forget. We’ve had some good times (namely stress-free chemo sessions) and some not-so-good times (saline flushes and heart palpitations come to mind). But, I have to say, we’ve had a fairly uneventful relationship (I often forgot it was there) and the advantages have more than outweighed the disadvantages! 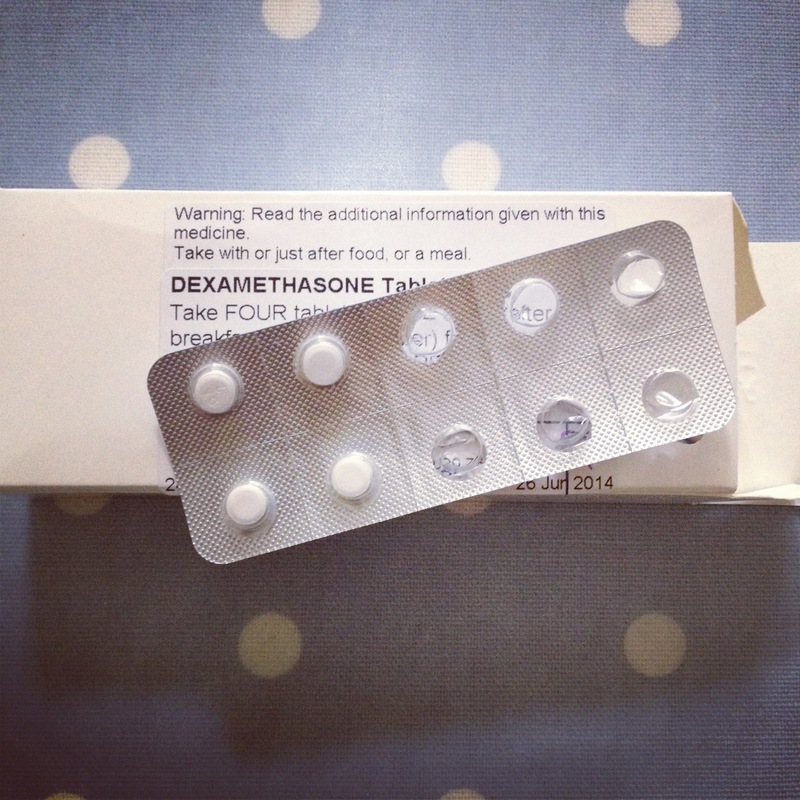 Tonight is also the night I hoover up the last of my steroids. That’s means an end to the crazy highs, swollen hamster cheeks, water retention and unfair weight gain. Woohoo! The only downside? The house might not be as tidy for a while. Who needs alcohol, when I have the opportunity to enjoy a lukewarm shower and feel the water trickle over ALL my weary limbs? Us chemo bods sure know how to celebrate! I’d say ‘let our hair down’, but there isn’t much of that! Breast cancer lesson 127: If you can take on chemo, you can take on life. Take that chemo and take that cancer!